In the wake of a vote to exit the European Union, U.K. citizens made it clear shot that "status quo" was no longer acceptable. While the vote caught many off guard, it seems to sync with all the other seemingly incongruous events transpiring around the globe: attempted coups, unexpected twists and turns in a contentious U.S. election cycle; more than one-third of global bond yields in negative territory--even while stock markets hit new highs. Nothing seems as it should. This column outlines potential implications for near- and longer-term psyches, economies, and markets and offers a few pointers investors can consider in what feels like a surreal trip through the "looking-glass." The Brexit vote and its immediate aftermath taught two core lessons: 1) the potential for market volatility remains high; and 2) it's vital to have a clear investment philosophy and plan ready to take advantage of that volatility. The vote did not go as most investors expected, leading to substantial market volatility. After the initial shock, most equity segments quickly traced a path to new highs with a surprising breadth of participation and a decided "risk on" bent. Rising stock markets theoretically imply optimism in the economic future. Oddly enough, investors continue to pile into fixed income, which would suggest the expectation of softening global economic prospects and/or global recession. While aggregate S&P 500 earnings were predicted to fall for a fifth consecutive quarter, those results were l into investor psyches long ago. Further, investors remain fixated on the potentially argely energy related, and incorporated stimulating effect of continued global central bank intervention. Investor psyches are still tainted by 2008, but the Brexit vote will not likely usher in another 2008. Central bankers stepped into the markets with more tools; corporations had been contingency planning for weeks; and the global financial system was in much sounder shape with more-liquid positions and cleaner balance sheets. Corporate cash is in the trillions and the U.S. personal savings rate has recently risen to multi-decade highs above 5 percent. These factors augur well for the stability of the global financial system. These underpinnings were all visible during the Brexit volatility. The U.S. economy and demographics are in solid shape. We do not expect this vote to lead to a global economic downturn, though things could get messy in the EU and peripheral countries until it's all sorted out. Just because the vote was to leave doesn't ensure it will happen automatically--although the timing of David Cameron's exit and the selection of Theresa May as the U.K.'s new prime minister helped calm markets as it happened much sooner than expected. 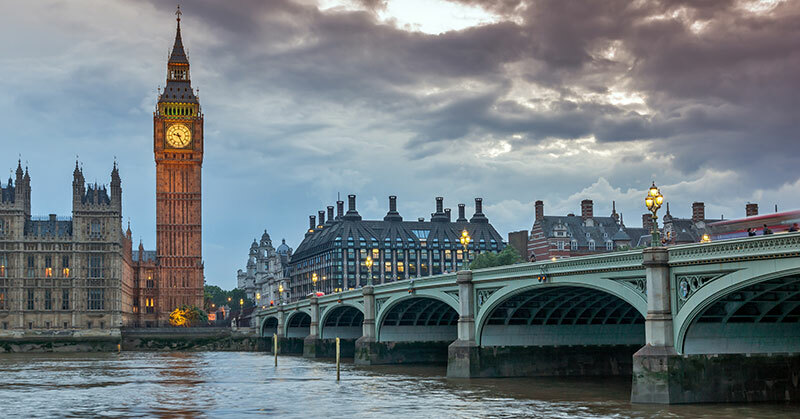 The interim series of unknowns could keep businesses on edge for the foreseeable future, slowing the pace of business in the U.K. until more clarity emerges. In the two weeks after the vote, the British pound fell 13 percent. It fell from a high level, though, after rising during the two weeks preceding the vote. The significant downward adjustment in the U.K. currency relative to the U.S. dollar and the Euro makes British exports more attractive to external end markets and could boost the U.K.'s tourism business. The flip side for British citizens is that their imports just got more expensive, introducing heightened inflation even as the Bank of England's toolkit is more restricted. While this, of course, is an important event, the economic influence that developed markets in general play on the world stage has lessened substantially in the past 30 years. According to IMF data, two-thirds of global GDP is now generated from emerging Southeast Asia and China, in contrast to 1985 when two-thirds was generated by North America, Europe, and Japan. The unknowns introduced by Brexit could accentuate this pivot toward emerging markets. The biggest issue for investors is that those markets have relatively less developed capital, regulatory, and geopolitical infrastructures. This creates the potential for more volatility in the short run, even though demographics and economic progress may have more growth potential. At Abbot Downing, our focus is on managing risk. We work closely with clients to insure that cash flow needs are met from regular sources (dividends, fixed-income holdings, etc.) that typically don't change, even with market volatility. Our belief in and use of globally diversified portfolios helps cushion in volatile markets and can provide participation in segments that move up even before investor comfort or fundamentals would seem to dictate. In general we are able to take advantage of volatility, such as that created in the days following the Brexit vote, to invest sidelined or new cash and rebalance portfolios to overarching and long-term targets. Our approach is to actively look through the emotion of the moment, to cut back on investments that have become overweight and/or overvalued, and to reinvest in others that may have overly discounted a more dire-than-likely future. As we have witnessed time and again in our multi-decade history, markets will always be subjected to the unexpected. The trick is to be prepared, be nimble, and have a keen focus on a long-term plan--just in case things get "curiouser and curioser"! Carol M. Schleif, CFA, is deputy chief investment officer at Abbott Downing, a Wells Fargo business that provides products and services through Wells Fargo Bank and its affiliates and subsidiaries. She welcomes questions and comments at carol.schleif@abbotdowning.com.